Home automation is becoming more and more practical with every new product, but none are as practical as the smart home thermostat. It self-adjusts to precisely meet your family’s comfort needs and use less energy, and it can be controlled from afar—which ultimately saves you time and money. If you’re interested in installing a smart thermostat, check out the most impressive models that will update your home for 2016. 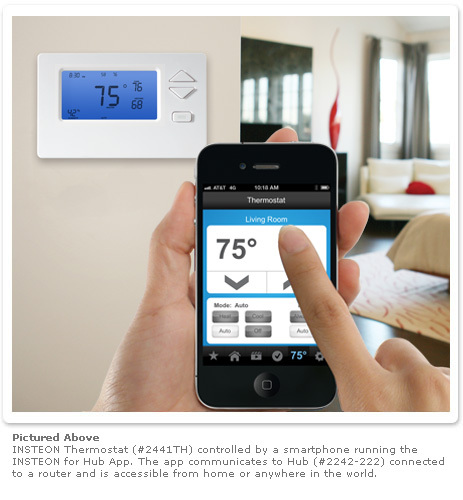 If you’re looking for sophisticated integration, the Insteon Thermostat has you covered. It’s compatible with most HVAC systems, including advanced two-stage systems, and can control other heating and cooling-related products like ceiling fans and duct dampers. You can purchase sensors to detect when doors and windows are open, as well as leak sensors that will help you keep an eye on your heating and cooling expenses. It’s compatible with HomeKit and can be controlled remotely via your devices, including your Apple Watch. The thermostat preserves your settings even if the power goes out, meaning you spend less time worrying about heating and cooling in your home and more time being comfortable. More temperature sensors: if a thermostat is going to learn about your home as it claims, it needs to be able to sense what’s going on inside of it. The additional sensors help it recognize drafts, humidity, and even HVAC shut-off patterns that warn when something is amiss. It then warns you via notifications on your device. Farsight: the thermostat senses when you enter a room and lights up to display the current temperature. Pattern recognition: Over time, the thermostat learns your habits. If you like to turn up the temperature by a couple degrees every winter morning, it will learn to follow your routine, helping you go on with your busy day without thinking about your comfort level. It also shows you your energy history so you can know how much you’re saving and what areas you need to improve. Refined control settings: you can manage your thermostat remotely from your device, as well as establish Auto-Away settings—these will minimize the action of your HVAC while you’re not at home to save you both energy and money. Ecobee goes head-to-head with Nest for the best smart thermostat, and similarly brings its A-game with its third model. One of its most attractive features is the highly intuitive LCD touchscreen display with easy-to-navigate options. 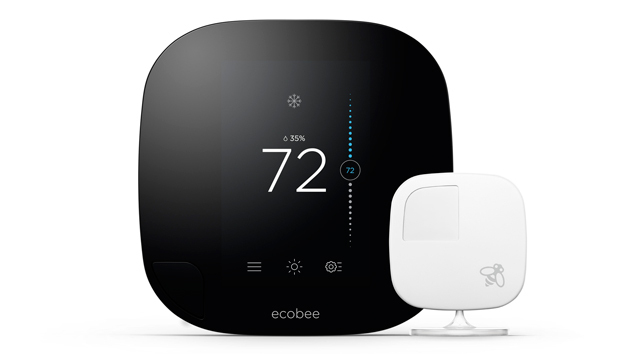 Several of latest Nest model’s best attributes are found in some form here, but the Ecobee 3 Smarter Wifi Thermostat has one advantage: it comes with an external sensor that can be placed anywhere in the house, and up to 32 additionals sensors can be purchased. This allows it to adjust not just the overall temperature, but the room-to-room temperature based on occupancy, which it registers via the remote sensor. It also registers the outdoor temperature in order to bring your optimum indoors comfort. Honeywell’s past smart thermostat models have looked a little clunky and old-fashioned compared to the polished designs of its competitors. But the Honeywell Lyric Wifi Thermostat is up-to-speed in looks and maturity. Its responsiveness relates more to you and your devices than the environment; for instance, rather than sensing the occupancy of your rooms, it senses when you are nearby and adjusts accordingly. It also learns from you and automatically creates settings based off your patterns, which you can easily modify. The Smart Cues feature keeps track of your HVAC system and alerts you when something is wrong, ultimately helping you gain better control of your energy usage. While all three models are highly intuitive, the remote sensor feature of the Ecobee 3 is ideal for getting the most out of your heating and cooling and keeping everyone in your home comfortable, even if your house is large and normally difficult to stabilize when it comes to climate control. You can find more Smart IOT Products over at SmartHome.